But it went up just about. Charlotte was pleasantly surprised by the falling needles, pine smell & all the bright lights going on it. 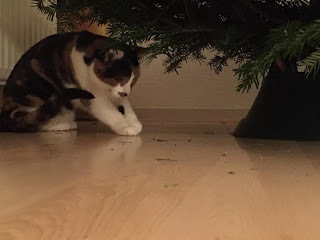 She kept playing with the needles, sniffing the branches and loving the tree just like us. She even went in it a few times, shaking the whole tree.. 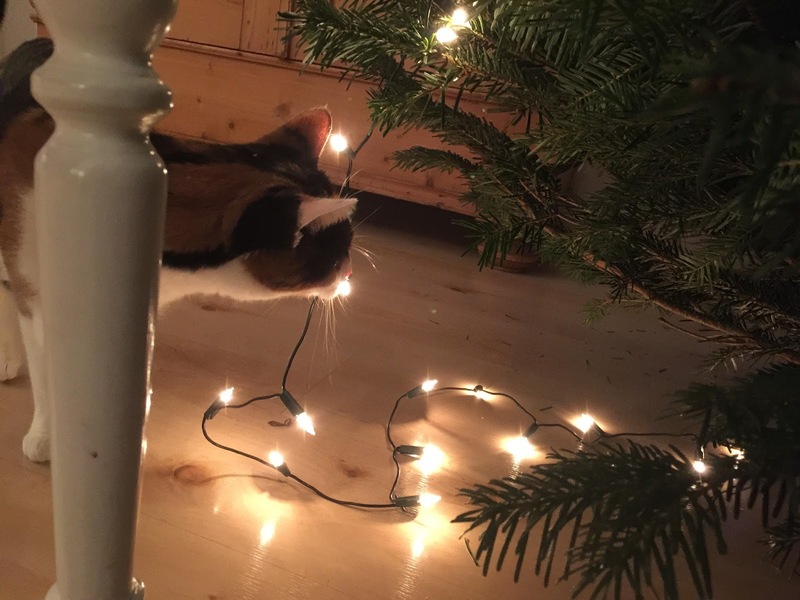 Even when we had the first baubles in it. 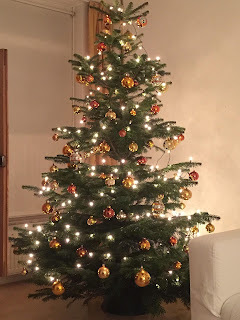 We only lost 4 christmas balls, having said only I do miss the one with a dent in it that reflected the lights so beautifully. But you cannot get mad at such an adorable and much loved callico girl. So the tree is finished, how does she look? Pretty amazing no?!! !